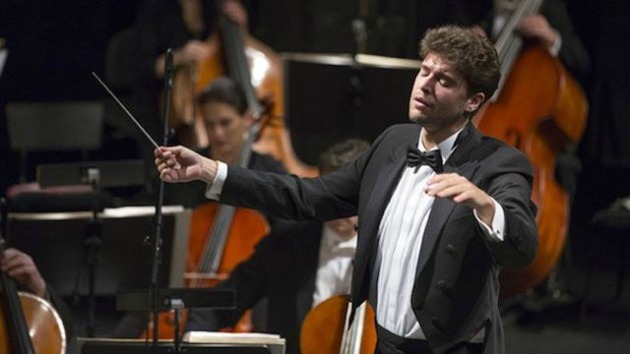 San Francisco Symphony Resident Conductor Christian Reif is in his busy final season with the orchestra, and as the highly successful Wattis Foundation Music Director of the SFS Youth Orchestra he has the rest of that season to lead too, culminating in a European tour. The Prokofiev is on the program of the SFS concerts of Jan. 24–26, led by Reif. With Lutoslawski's Cello Concerto and R. Strauss’s Don Juan, it’s a rich, varied concert. These concerts will mark the SFS debut of German-Canadian cellist Johannes Moser in the first San Francisco performances of Lutoslawski’s Cello Concerto. The work replaces the previously announced performance of Andrew Norman’s Cello Concerto, which has been postponed to a later date. The Cello Concerto was written for and dedicated to Mstislav Rostropovich, who took part in the work’s premiere, with the Bournemouth Symphony, conducted by Edward Downes, in 1970. At that time Rostropovich’s dissident status within the Soviet Union was well known, and Lutoslawski and members of his family had likewise suffered at the hands of the Soviets. Reif is in great demand for guest conducting, has just led Opera San José’s Pagliacci and John Adams’s El Niño at the Met Cloisters, with soprano Julia Bullock, countertenor Anthony Roth Costanzo, and the American Modern Opera Company. Currently, Reif is guest conducting the Omaha Symphony, and will lead the National Symphony Orchestra’s “In Your Neighborhood” concerts.